Get an extra dose of Vitamin C by opting for a chilli instead of an orange! 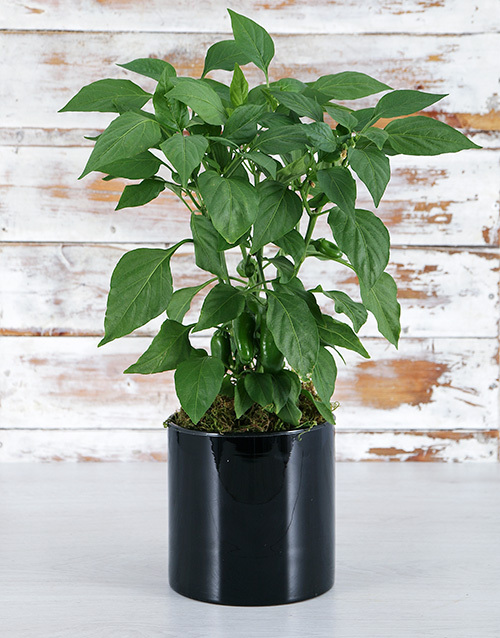 Order this Green Chilli in Black Vase and have it delivered on your behalf. The green chilli plant finds a home in a black, cylinder vase. Moss has been used to decorate the spicy plant. Get this Green Chilli In Black Vase delivered with NetFlorist.